It’s Ranbir Kapoor vs Sanjay Dutt in YRF’s Shamshera and it is definitely the ultimate casting coup. 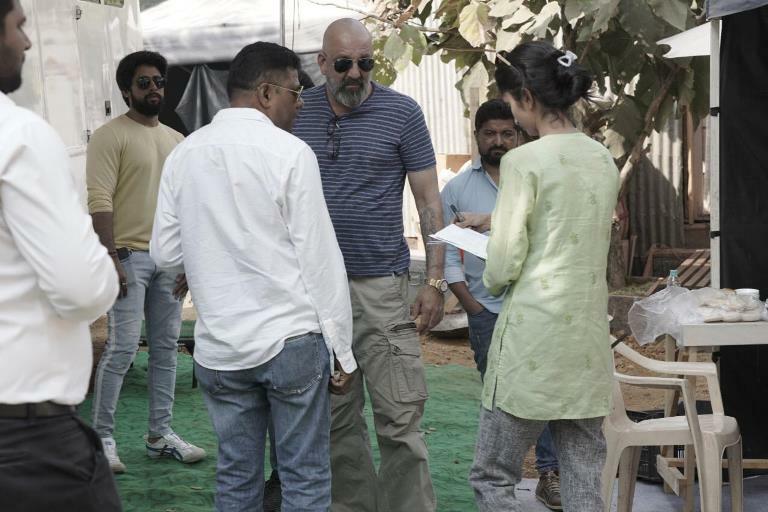 Today, Sanju baba started his shooting schedule in Film City and we managed to get exclusive pictures of him entering the film’s set. Director Karan Malhotra was there to greet him and his entry brought a spark on the set. After bonding with the crew, Sanju entered his vanity to get into his closely guarded look. Sanjay is playing a ruthless, merciless villain in this YRF’s action entertainer.